Global Life Sciences search specialist, Coulter Partners is pleased to announce the appointments of Nicolaj Moerk Thomsen as Senior Consultant and Lisbeth Holm as Research Associate in their new Copenhagen offices. “I am delighted to welcome Nicolaj and Lisbeth with their considerable pan-European experience, as we launch our new offices and build on our achievements in the Nordics!” says Executive Vice President, Eskil Westh of these appointments. Nicolaj joins Coulter Partners with 14 years’ experience in global Executive Search within Life Sciences. From highly scientific to strictly commercial roles, he has developed a broad expertise across a range of early start-up to mature organisations. Drawing on a strong track record of recruiting talented senior executives for R&D, finance, regulatory affairs and manufacturing in Europe, North America and Asia, Nicolaj is focusing predominantly on the Biotech, Pharmaceuticals and Med Tech fields. 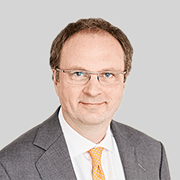 Most recently he has led the Executive Search practice of an international consultancy, conducting searches across a variety of industries and markets over a ten year period. He has an M.Sc. in Strategy, Organisation & Leadership from Copenhagen Business School. Lisbeth joins Coulter Partners with more than 10 years’ experience in international executive search, focused primarily on Life Sciences. Having worked closely with Eskil at international Executive Search firm, Amrop for over twelve years, she has developed extensive expertise in project management and research across Biotech, Pharmaceuticals and Med Tech. Lisbeth is working predominantly on commercial roles at senior executive level and supporting the team’s recent Med Tech successes and assignments in Denmark and Finland. Coulter Partners has made nine new appointments so far this year to augment its dedicated Life Sciences research and delivery expertise. The breadth of talent across the team now includes PhD and MD-qualified researchers, language proficiency in Russian, Bulgarian, Italian, Spanish, Czech, Danish and Swedish to name but a few, and a rich background in areas such as Business Psychology and Human Resource Management. Tapping into such top talent ensures Coulter Partners is in a prime position to respond effectively to the challenges of its market.